I am addicted to ... the diecast . Today was a bad day I had a budget of 6 dollars for two older diecast at the local store I saw last week. I picked them up and was heading to the register. I took the wrong path through the store . I took the path through 1:18 scale cars. I was 90% through when nu eye caught a HW Cadilac LMP car. It was tenpting but not tempting enough. Thats when I saw it on the very top shelf almost out of reach. I took it down an fell in love. I left the shop with 40 dollars less. Three new diecast cars leaving with me. 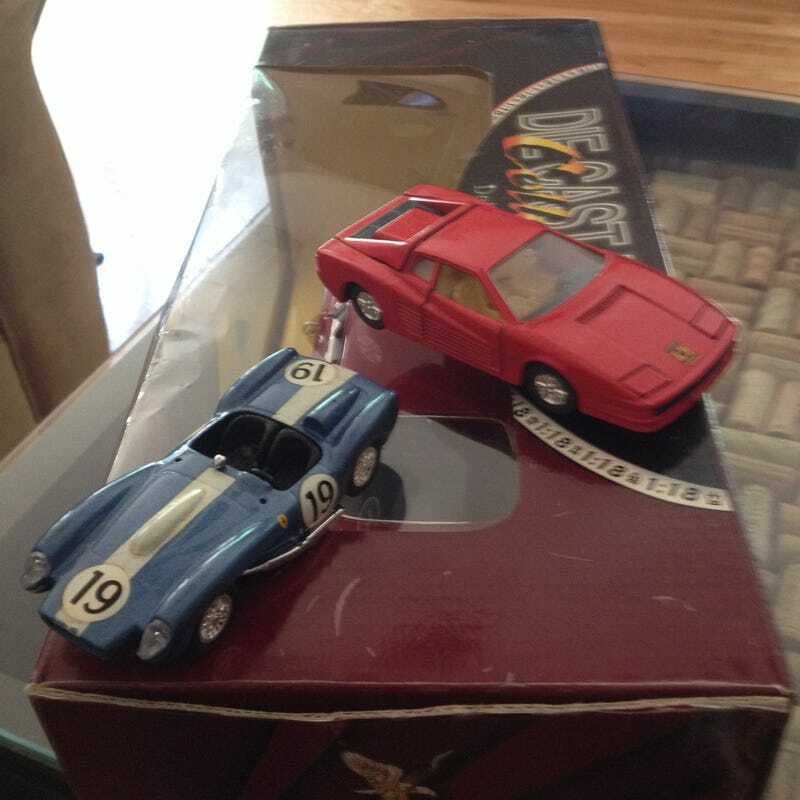 So first the two smaller Italian car I picked up. The 1:18 will have it own post. And Mystery Ferrari Teaterosa with opening hatch door and POP UP LIGHTS! Oh and pullback motor but meh.